For this project I had to take them ripped photo of this sailor and put it back together. I used different tools like the clone & healing brush tool to make the photo look like it was never torn. This is a frame by frame video of me. We used a camera to take picture of our selves and made the picture into a a video. We had to used multiple pictures to make a good video. This is a magazine cover that I create. 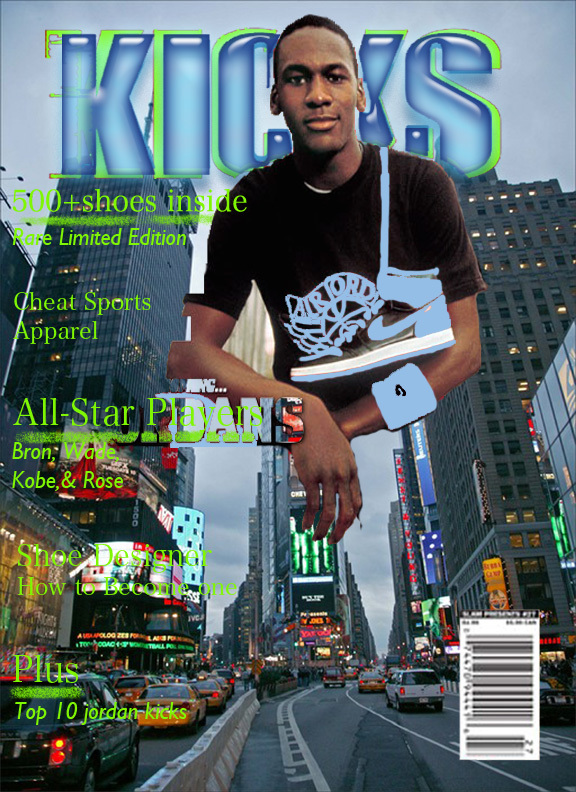 I choose this type of cover because i like shoes and basketball to I wanted to use them as a topic of my magazine. I also like the city so I used a city background.